50% Deposit due on placement of order. Balance due 2 weeks before delivery. No work will be started unless paid in full. Please note that some preparations start well in advance. No refunds will be made for orders cancelled within the two weeks before the wedding, the full amount will be lost. Gift vouchers/prizes are valid for 12 months from the date of issue. Gift vouchers/prizes can not be exchanged for cash. Gift vouchers/prizes are only applicable on baked goods. Gift vouchers/prizes may be exchanged for baked goods of a higher value, on payment of the difference. Delivery, packaging or rental items are not included in the gift voucher/prize. Gift vouchers/prizes will be subject to verification at time of presentation. Gift vouchers/prizes that are defaced in any way will be invalid. Vouchers/prizes must be mentioned at time of ordering your baked goods. Rentals on any products like cake stands, knives etc, rental deposit will be paid back in full, if returned in the same perfect condition. Returns should be within 7 days, after, no refunds will be made. * Agreement will be made on collection or delivery of order. On collection of the cake, risk passes to the client the moment the cake has been handed over. No responsibility whatsoever will be taken by us for any damages or deterioration of the cake due to unfavourable conditions or storage. Full details must be given on date, venue, time of delivery etc. Picture will be taken of the cake after delivery. Please appoint a responsible person at the venue to take responsibility of the cake after delivery. No responsibility will be taken by us for any damages or deterioration of the cake due to unfavourable conditions or storage at the venue. We can not guarantee a nut/egg/allergy free environment when making our cakes. Advise and recommendations will be given on the best before date and how to handle and store the cake. We however can not take responsibility for these uncontrolled environments once delivered. Non edible decorations will be listed on delivery. Items like wired sugar flowers, plastic/metal or wooden dowels for structure, cake boards, ribbon, pins etc. These items must NOT be included on any cake once cut. The structure of the cake is made on a non-edible (metal/plastic) frame. Cake within 1cm of this structure should not be served to guests. You must not eat cake that had come into contact with the frame and you must not eat the frame. * takes all steps reasonably necessary to mitigate the effects of the force majeure event. either Party may immediately terminate this Agreement upon written notice. 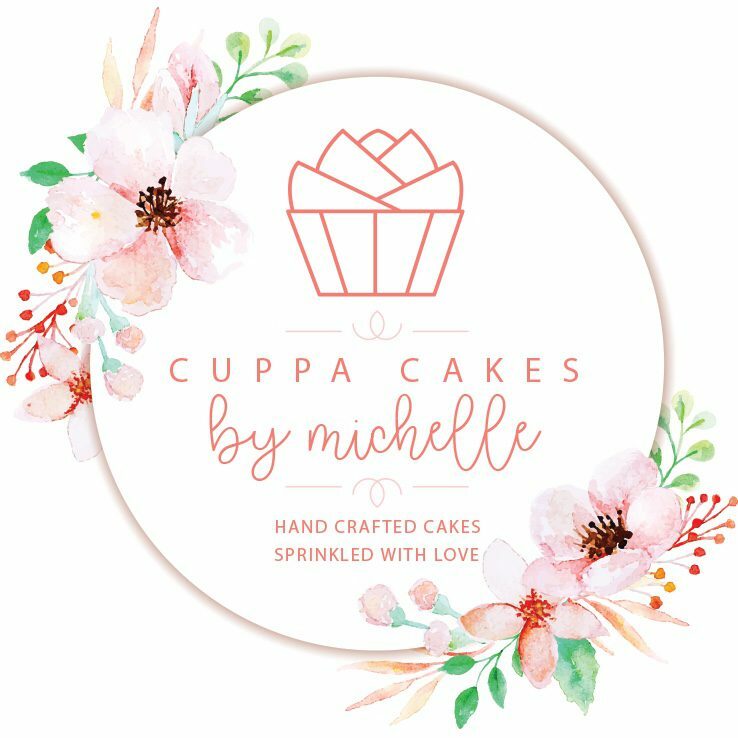 Designs and logos remain the property of Cuppa-Cakes and may not be published, sold, printed or distributed without our consent. Designs may not be changed or damaged during styled photoshoots, or published without consent. We see all your information given to us as private, and no data/details will be given to another party without your consent. If a mistake has been made that do not adhere to the order specifications signed by you, we are only liable to the amount of the cost of the specific cake. No losses beyond this point. We promise to make your brilliant cake according to your requirements provided on our order form. If the cake is for any unforeseen reason dry or stale, refund to the cost of the cake will be given if 90% or more of the cake is returned within 24 hours of delivery. A personal meeting will be arranged for the tasting. Telephonic complaints will with regard to the taste or quality of the cake will not be accepted, and no refunds will be made in this regard. With placement of your order, we will accept that you have read and understood the terms and conditions above.